India has one of the world's most lethal weapon system in its arsenal. A missile that travels at supersonic speeds and is hard to detect and impossible to intercept. It is as we all know the BrahMos supersonic cruise missile jointly developed by India and Russia. Hundreds of BrahMos missiles have already been inducted into the Indian Army and almost all Indian front-line warships now boast of this supersonic cruise missile. But what we don't know is that the BrahMos Aerospace Private Limited has developed a different variant than the ones inducted with the Army and the Navy. This variant of BrahMos is designed to take on floating airfields like aircraft carriers. It was first tested in March-2012 and the missile gained the capability to attack Aircraft Carriers using the supersonic vertical dive with extremely high precision and can travel upto a distance of 290 kms. The missile will fly at speeds of Mach 3. Its penetration capabilities had been impressively demonstrated in the past at sea when a single BrahMos cruise missile was able to effectively pierce the hull of a free-floating ship, destroying it entirely. The deep penetration Block-III variant expands this capability greatly, allowing the BrahMos to destroy reinforced targets like Aircraft Carriers. Upon impact with a warship or an aircraft carrier, the BrahMos Block-III with its sheer velocity / kinetic energy clubbed with an extremely high explosive warhead will literally tear apart something as large as China's 'CNS Liaoning' aircraft carrier in one strike. China has developed the world's first carrier-killer missile. The latest DF-21D is said to be the world's first anti-ship ballistic missile (ASBM). The DF-21 has also been developed into a space-capable anti-satellite weapon/anti-missile weapon carrier. Though the launcher itself is mobile to reduce vulnerability, an actual launch unit requires support vehicles that can cover a 300×300-meter area, making it hard to move quickly and easier to detect. Also, the launcher is not made to travel off-road and requires solid ground when firing to prevent backblast and debris damage due to the hard launch, restricting its firing locations to roads and pre-made launch pads. American countermeasures against the DF-21D is to use electronic countermeasures that jam the active radar homing capabilities of the warhead causing the warhead to not hit the carrier or ship. Spoofing can also be used to trick the warhead into hitting somewhere else besides the ship or carrier. BrahMos Mark-II (not Block-II) is a hypersonic cruise missile currently under development. The BrahMos-II is expected to fly at speeds of Mach 7. The planned operational range of the BrahMos-II has been restricted to 290 kilometers as India is not a signatory of the MTCR (Missile Technology Control Regime) which prohibits us from acquiring missiles from other countries that have ranges above 300 kilometers. The Hypersonic version of the BrahMos is expected to be ready by 2017. 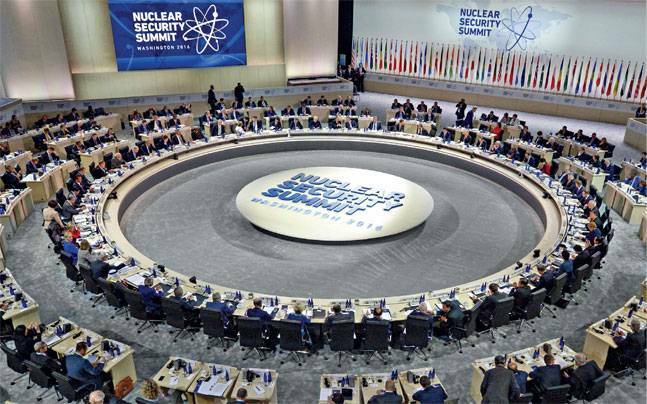 As the lights in the hall dimmed and the film started playing on the large overhead screen at the Walter E. Washington Convention Center, the 50 heads of state, including Prime MinisterNarendra Modi, who had assembled for the fourth Nuclear Security Summit in Washington DC on April 1, watched with rapt attention. Just before that, US President Barack Obama had shooed the media out of the hall and informed the leaders that the film simulated a possible nuclear attack by terrorists and its aftermath. 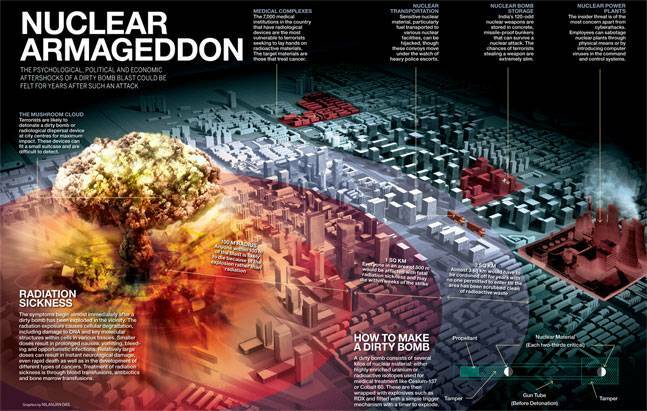 It was similar to a war-gaming session where leaders were expected to react to a developing nuclear terror attack. The Indian Ocean is featuring more prominently in discussions among the three Asian giants. One of the focus areas within the growing trilateral cooperation between the United States, Japan and India is the Indian Ocean. Covering one-fifth of the water on the Earth’s surface, the Indian Ocean generates vital long-term trade flows and energy interests, particularly for Asia. However, tensions between China and India in their waters are increasing as New Delhi grows concerned about the expansion of PLA Navy submarine deployments in what it considers its backyard. These Chinese submarine deployments have ramped up since a 2013 Indian Defense Ministry report warned that they constituted a “grave threat.” In the past three years, developments like the docking of Chinese submarines in Colombo and Karachi and Air Independent Propulsion technology upgrades to the Yuan-class of submarines have sparked continued questions about China’s ulterior motives in the Indian Ocean. Despite China’s claims that its submarine deployments are part of its counter-piracy missions, many of its actions suggest a desire to establish an expanded undersea presence in the Indian Ocean. India, in turn, is responding with a stronger hand in the space, emerging from its so-called “maritime blindness” with hopes of being more than just a continental power. On a trip to the Seychelles and Mauritius in March 2015, prime minister Narendra Modi fashioned a far-reaching vision for the space, in which he put the Indian Ocean at “the top of our [India’s] policy priorities” and promised to defend India’s maritime interests. As anticipated some weeks back (“India in America’s coils”), the Modi government seems bent on having the three foundational agreements — logistics support agreement (LSA), Communications Inter-operability and Security Memorandum of Agreement (CISMOA), and the Basic Exchange and Cooperation Agreement (BECA) in some form for signing when US Defence Secretary Ashton Carter is here next week. We are told MEA and MOD negotiators have been hard at work with their American counterparts to obtain draft accords tailored to specific Indian needs that also serve US purposes. There are fundamental problems even with the India-specific content of these agreements. Consider LSA: For many years now, Indian and the US warships at sea have had a “barter” arrangement in place whereby an Indian ship with fuel excess to its mission needs transfers a fuel quantum to an US warship on the basis that a passing American warship can be tapped mid-ocean by an Indian ship at low tank for the exact quantum of fuel. So there’s some kind of a running account between the two navies. There is no exchange of monies — because the different accounting systems make for a mess, making reimbursement in value, rather than in kind, difficult. This was an expedient stop-gap arrangement arrived at by the two navies over the course of the Malabar and other naval exercises, joint piracy patrols, etc. This working scheme is operational. Other consumables — food items, potable water, servicing tools, naval maintenance kits, etc. can likewise be accommodated by simply enlarging the barter arrangement that has so far worked well. Why does India need a formal LSA for these things, especially on a “reimbursable” basis? This last, whether any one in the Indian govt concedes it or not, will do two things: (1) Place India in a position similar to Pakistan vis a vis US ISAF presence and military operations in Afghanistan, and (2) make reimbursements for materials offtaken by US forces in the region from Indian military stores subject to financial subventions from Washington. This will bring India under Congressional scrutiny which, in turn, will create its own difficulties. New Delhi, in effect, will have to account for the quality of every item or service rendered, and be compelled to respond on pain of non-payment. This is the punishing procedure all US’ formal allies undergo. 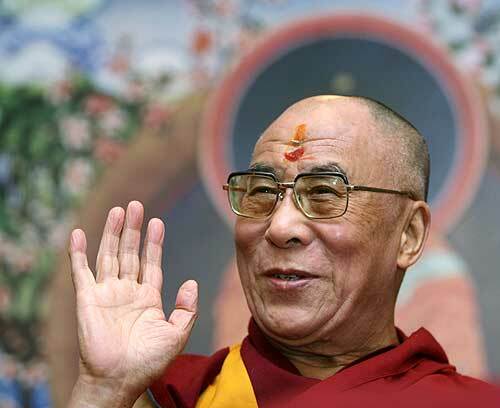 Does it help the country’s cause even a little for India to be thus ensnared by the United States? And if high-technology is the big deciding issue: Is the US willing to TOT the EMALS (electromagnetic aircraft launch system) for the two Indian-built carriers, following Vikrant? Of course, not. But the Americans will happily part with technologies considered advanced in the 1970s — F-18 Super Hornet! Boy, are we dumb. Even Pakistan has not proved itself so naïve and gullible and is keeping its arms supply lines to China open. Why is the Modi govt so enamoured of US-sourced military technology when Russian topend hardware available to the Indian armed forces is tech-wise, generationally superior? 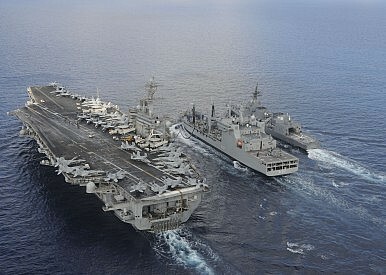 In a discussion on this topic, a former naval chief had no answer to the kind of objections I have raised above, or why the Navy in particular would rather rely on US warships or the base at Diego Garcia for mid-oceanic resupply and replenishment than speedily invest in and build-up the naval and air bases on North and South Agalega Islands offered by Mauritius, or on shore in a base in northern Mozambique offered by that country. CISMOA: news reports portray Indian negotiators being satisfied with something called the “pre-bid guarantee” in case India chooses to manufacture an US armament system here — a combat aircraft, for instance. This “pre-bid guarantee: is supposed to require the US govt to guarantee the full transfer of technology. One can foresee how this will pan out. Such a guarantee is given but the supplier companies keep to the old way of doing things with India, namely, merely exporting first SKD kits, followed years later, by CKD kits while claiming there is full TOT. If questioned, they’ll point out that it is not their responsibility to ensure Indian firms, DPSUs, ingest and innovate the technologies passed on to them — which will be an irrefutable case. And hand over the full tranche of contracted funds, please! This guarantee, in the Indian context, is worth nothing. The more significant issue is why the Modi PMO is going down this route. And shouldn’t it have been advised better, asked to temper their enthusiasm, not go full out, without being aware of booby traps down the supposed primrose path? The trouble is those in MEA advising the PM have long since jumped on to the American bandwagon. Foreign Secretary S, Jaishankar — his father K Subrahmanyam’s son alright — is in the van on these accords. Recall it was Subrahmanyam during the previous BJP govt’s tenure who persistently advocated buying peace with the US — sign the CTBT he said in 1996 along with his acolytes, such as Air Cmde Jasjit Singh, and for making the sorts of concessions his son first negotiated (as Joint Secretary, Americas) in the 2008 nuclear deal with the Congress party apparatchik Manmohan Singh as PM, and now as head of the foreign service, is configuring these foundational ags for an ideologically different, supposedly “nationalist”, BJP regime. Prime Minister Narendra Modi’s two day visit to Saudi Arabia on April 2-3, 2016 further bolsters India’s engagement with the Kingdom. Saudi Arabia has remained an important partner for India in the Gulf region. Modi’s visit brings the India-Saudi relationship further closer from where it stood when the Delhi Declaration of 2006 and Riyadh Declaration of 2010 were issued. The visit of King Abdullah to India in 2006 and the visit of Prime Minister Manmohan Singh to Saudi Arabia in 2010 had laid strong foundations for the India-Saudi relationship. Modi’s visit, while intending to take the relationship to a new level, has laid emphasis on important issues such as trade, investment, terrorism and strengthening strategic ties. Saudi Minister for Foreign Affairs Adel bin Ahmed Al Jubeir, while visiting India on March 7-8, 2016, had stated that India is a “very important partner” for Saudi Arabia and expressed his desire to broaden bilateral engagement, indicating a growing commonality in how each country perceives the other including as key players in their respective regions. In the past, the relationship has been inhibited by a number of historical factors such as the Kashmir issue, Pakistan factor, regional and global politics. In recent decades, with India’s rise as a major player in world politics and economy, Saudi Arabia came to realise the importance of maintaining strong ties with India. India has been a natural choice for an economic and developmental partnership in Saudi Arabia’s efforts to diversify its relationships by engaging various Asian countries. Saudi Arabia’s ties with Pakistan and India’s links with Iran have remained two important factors affecting the India-Saudi Arabia relationship.During his recent visit to India, Saudi Foreign Minister Al Jubeir stated that while “India is a strategic partner, Pakistan is a strategic ally and will remain so.” While Riyadh feels uncomfortable with India’s growing relationship with Iran, India expects the Kingdom to restrain its ally, Pakistan, from allowing its territory being used by terrorists targeting India. Those who conduct surveillance - either for nefarious or protective security reasons - frequently have used available technology to aid them in their efforts. In earlier times, employing such technology might have meant simply using a telescope, but in more recent years, surveillants have used photographic and video gear, night vision aids and electronic equipment such as covert listening devices, beacons and programmable scanners. These efforts have been greatly enhanced by the advent of personal computers, which can be used to database and analyze information, and the Internet, which has revolutionized information gathering. Doubtlessly, modern technology has radically altered the surveillance process. What it has not done, however, is render physical pre-operational surveillance obsolete. Despite innovative Internet tools, a person sitting in an Internet café in Quetta, Pakistan, cannot get everything he or she needs to plan and execute a terrorist attack in New York. There are still many things that can only be seen in person, making eyes-on surveillance vital to pre-operational planning. And, as long as actual physical surveillance is required, countersurveillance will remain a key tool for proactively preventing terrorist attacks. The Internet has proven to be an important asset for those preparing a surveillance operation. If the target is a person, open-source Internet searches can provide vital biographical information, such as the target's full name, address, occupation, hobbies, membership in organizations, upcoming speaking engagements and participation in charity events. It also can provide the same information on the target's spouse and children, while image searches can be used to find photos of the target and related people. In most instances, public records checks performed on the Internet also can provide a vast amount of personal information about a potential target, including property, vehicle and watercraft ownership, voter registration data, driver's license information, criminal history, professional license information and property tax data. The property tax data can be especially revealing because it not only tells the surveillant which property the target owns, but in some jurisdictions can even include photographs of the front of the home and even copies of the floor plan. In addition, many commercial services will, for a fee, provide an extremely detailed public records dossier on a desired subject - often with little regard for how the information will be used. India is also ahead of countries like France, Germany and Israel who happen to be among its top arms suppliers. India is the sixth largest military spender in 2015 having spent $51.3 billion even as the world spent $1,676 billion reversing a global trend which was on the decline since 2011., as per the latest report from the Stockholm International Peace Research Institute (SIPRI). India moved one rank up from last year accounting for 3.1 percent of global military expenditure. Over a ten-year period from 2006-15 this represents a 43 per cent jump. India is also ahead of countries like France, Germany and Israel who happen to be among its top arms suppliers. World military expenditure rose by 1 per cent in 2015, the report noted said it reflects continuing growth in Asia and Oceania, Central and Eastern Europe, and some Middle Eastern states. Sam Perlo-Freeman, head of SIPRI’s military expenditure project said that the military spending in 2015 presents contrasting trends. “On the one hand, spending trends reflect the escalating conflict and tension in many parts of the world; on the other hand, they show a clear break from the oil-fuelled surge in military spending of the past decade,” he said in the report. China’s expenditure rose by 7.4 per cent to $215 billion. The acronyms that have invaded the diplomatic and Track Two discourse hold the promise of converting ‘connectivity’ from a goal to reality. BIMSTEC, BCIM and BBIN represent efforts to link the northeastern quadrant of South Asia through transport, energy grids, services and seamless commerce, all of which would lead towards economic growth and social justice. While some may be wary or skeptical of the bilateral steps taken by Nepal recently with India and China, they could be a trigger for regional commerce. Despite geopolitical and practical obstacles, we may finally be seeing the energising of societies through efficiencies and economies of scale made possible by bilateral, trilateral and multilateral trade in goods and services. BIMSTEC is 20 years old, and was evolving like the ponderous SAARC, but now it has new energy with the democratic evolution of Myanmar, and the grouping has just opened its secretariat in Dhaka, the city that would be fulcrum to this particular sub-region. BIMSTEC holds the prospect of linking Bangladesh, Bhutan, India, Myanmar and Nepal, but first we need the tension between Kathmandu and New Delhi to subside. Started as the Kunming Initiative, BCIM is an effort to bring China (mostly Yunnan) into collaboration with Bangladesh, China, India and Myanmar. A look at the map shows why this is geographically sensible: Beijing would find it more convenient to connect to the sea via Chittagong than reaching all the way to Gwadar in Pakistan. The BBIN motor vehicle agreement (for passenger, personal and cargo transfer) has unexpectedly emerged these past two years as a possible catalyst. 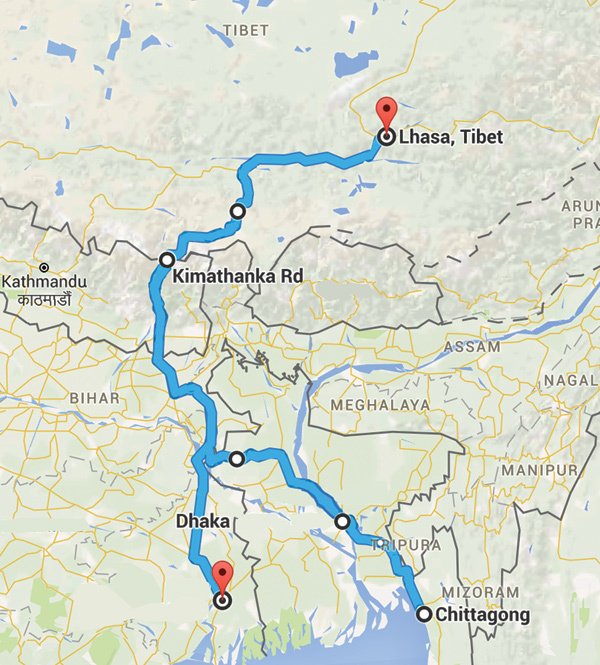 It would boost commerce between Bangladesh, Bhutan, India and Nepal, and also pave the way for future BIMSTEC-wide and SAARC-wide connections. 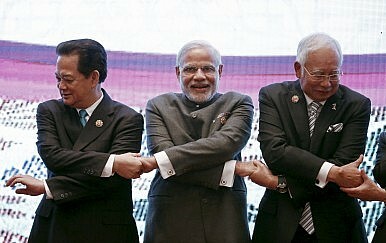 The breakaway moment came when Indian PM Narendra Modi told SAARC’s Kathmandu summit in November 2014 that sub-regionalism was the answer if all eight member countries could not agree on strategy and action: “either all of us or some of us”. Pakistan had reservations on the SAARC Motor Vehicle Agreement then under negotiation, and, under India’s urging, the other countries moved with unexpected speed. The BBIN agreement was signed in Thimphu in June 2015. Given the strained civil-military ties in Pakistan, Prime Minister Modi needs to develop a more centred policy before heading out for Islamabad later this year for the SAARC summit. Scenario-building could be a start. The following op-ed appeared on December 31, 2016 under the title ‘Political uncertainty in Pakistan’. Looking back, it is clear that 2016 will be remembered as a year marked by political turbulence in Pakistan; these processes of change are still churning and will further unfold in 2017. In hindsight, the catalysing event for the changes was the suicide attack in Lahore in March on Easter Sunday in the park Gulshan-e-Iqbal which claimed more than 70 lives. It strained the rather fragile civil-military balance that had been established after the Azadi March in 2014 led by Imran Khan (Pakistan Tehreek-e-Insaf) and Muhammad Tahir-ul-Qadri (Pakistan Awami Tehreek). Allegations of widespread corruption against the Sharif brothers and behind-the-scenes political manoeuvrings led to their eventual exit. A technocratic government was sworn as an interim measure and Chief of the Army Staff General Raheel Sharif’s term was extended by a year in November. The National Security Council (NSC) assumed greater responsibilities for governance. Elections are likely to be held in 2017 once law and order is restored though no time frame has been set. Since Operation Zarb-e-Azb was launched in June 2014 in North Waziristan against elements of the Tehreek-e-Taliban Pakistan (TTP), more than 3,500 militants are reported to have been killed but terrorist attacks have not ceased. Strikes against military installations have come down though there was an audacious attempt to hijack a Pakistani naval vessel from the base at Karachi in 2014 and a terrorist attack at the Peshawar airbase in 2015 claimed 29 casualties. However, the majority of the strikes have been against minorities and soft targets — Shia mosques and buses carrying Shia pilgrims, churches, and educational institutions. Top Zika investigators now believe that the birth defect microcephaly and the paralysing Guillain-Barre syndrome may be just the most obvious maladies caused by the mosquito-borne virus. Dr. Carlos Pardo-Villamizar, a neurologist at Johns Hopkins University School of Medicine, is studying Zika complications with colleagues in five Colombian research centres. They have seen cases of encephalitis, myelitis and facial paralysis associated with Zika and want to understand what is triggering these complications. Understanding a nation’s strategy requires an unbiased view of its objectives and constraints. The first principle of Geopolitical Futures is an unswerving devotion to objectivity. There are two elements of objectivity. The first is the honest admission that perfect objectivity is impossible. But the second is more important: though you may be unable to achieve complete objectivity, neither are you free to desist from the attempt. The lesson to learn from the punishment given to Sisyphus is not that ceaselessly pushing a boulder to the top of a mountain is torture. It is that there is a nobility in continuing to try. The endless cycle is not merely for the entertainment of the gods; it is a warning about and cure for the dangers of hubris. Objectivity also does not mean apathy, or a willful ignorance about the moral quality of political action. One of the defining principles of Hans Morgenthau’s articulation of political realism – a methodological lens that is innately bound up in our own writing – is that the student of power should be aware of the questions of moral significance that are intrinsically involved in political decisions. One who studies politics and does not care about the outcome is a sociopath. But the more relevant point for us is that such a person is also a mediocre analyst. In the 14th century, Mongol dominance in Asia resulted in the Pax Mongolica, a framework of peaceful trading relationships straddling the Maritime and Overland Silk Roads, allowing the Kingdom of Singapura to flourish into a wealthy entrepot trading port. Today, the two roads are severed, and trade between Central Asia and Singapore is tiny, much more so for non-oil merchandise. The low volume of trade is evident considering Central Asia’s landlocked position presents a significant barrier of trade to the maritime trading hub that is Singapore. Today, China’s One Belt-One Road (OBOR) initiative promises to direct international attention to regional infrastructure development, effectively resurrecting a new Pax Sinica. This new economic paradigm could well create exciting new opportunities for Singaporean trade and investment in an untapped region. This report will focus on Uzbekistan, Kazakhstan and Turkmenistan, and the ways Singapore can capitalise on its unique expertise in the OBOR initiative. In 2015, Singapore exported US$61.3 million worth of goods and services to Central Asia, while importing US$6.1 million, representing 0.015 percent of Singapore’s total exports and 0.002 percent of total imports; and 0.07 percent of Central Asia’s total exports and 0.009 percent of total imports. While Singapore is a global trading and investment powerhouse, business experience and exposure in Central Asia has never been strong. In 2014, only 32 enterprises in Uzbekistan operated with Singaporean capital, and Singapore contributed only US$50 million of direct investment to Kazakhstan over the last ten years in contrast to US$604 billion of total foreign direct investment in 2014 alone. Central Asia is not directly connected to Singapore, and land routes to ports in the region are scant. However, as the One Road-One Belt Initiative links Central Asia to China’s eastern seaboard, Gwadar port and even the impending sanction-free Iran; inter-regional trade is awash with new connections and opportunities. The OBOR scheme is an immense supply-side policy centring around two distinct routes that connect China to Europe. The first route, the Silk Road Economic Belt (SREB), is essentially the original Overland Silk Road through Central Asia. The cornerstone of the Belt is a motley of infrastructure projects, which will connect Urumqi to Central Asia and on to Europe. These include the Yiwu-Madrid Line completed in 2014 as part of the New Eurasia Land Bridge and also the Central Asia-China Pipeline, which is expected to reach operational capacity of 65Bcm/year in 2016(other projects detailed in Figure 2). In this way, the SREB aims to overcome the greatest challenges to trade in the region, namely skeletal transport infrastructure, crippling bureaucracy, and low levels of economic development. The second route, the 21st Century Maritime Silk Road (MSR), is also an ancient trading system bridging China and Europe through Southeast Asia into the Suez Canal. The Road places deep emphasis on the development of ports and shipping capacity at key terminals along China’s Eastern Seaboard and the Indian Ocean. Projects including the Southeast International Shipping Centre in Xiamen, the construction of the Colombo Port City by the China Harbour Engineering Company and Gwadar Port by the China Overseas Port Holding Company aim to develop a string of international container shipping trunk hub ports radiating from South East Asia with Singapore as its lynchpin. Tata Steel’s fate in the UK underlines the need for India Inc to consider geopolitical and geoeconomic realities before going global. Tata paid over $12 billion to purchase Corus, most of it debt, around the same time as the subprime mortgage crisis in the West. Tata also suffered due to dumping of Chinese steel in Europe, which the EU was loath to counter, fearing a standoff with China. An epochal event, that should resonate for every globalised Indian business, brought down the curtains on an eventful 2015-16. In the last fortnight of March, Tata Steel declared that it will sell off or mothball its UK steel plants. The event contains a lesson for every Indian business aspiring to go global; it also has immense geoeconomic and geopolitical repercussions. Reliance Industries sold its Eagle Ford shale oil field in the US for $1.07 billion in June 2015. Like the OECD countries especially US, India also needs to take steps to protect its tax revenues especially those collected from MNC’s and high net-worth individuals. Tax avoidance - if not evasion - is big business the world over. Countries want big taxpayers within their jurisdiction, while the latter like to shop around for low-tax places to keep more of it back. The reason why Vodafone bought Hutchison’s India assets through an offshore deal from British Virgin Islands, a tax haven, was primarily to avoid Indian taxes. Ditto for Pfizer, which proposed a merger with Ireland-based Allergan so that it could lower its effective tax rate from around 25 percent payable to Uncle Sam to around 17-18 percent in lower-tax Ireland. With the US tightening the screws on such “inversions”, Pfizer has now called off the Allergan deal. Other “inversion” deals involving Johnson Controls and some other US companies, could also be reworked if Uncle Sam piles on the pressure. Even though the Pfizer-Allergan deal had nothing to do with the disclosure of the Panama Papers, the common link is the corporate quest for lower taxes. Wealthy individuals and crooks also seek lower tax (or zero-tax) havens to pay less or evade income disclosures altogether. 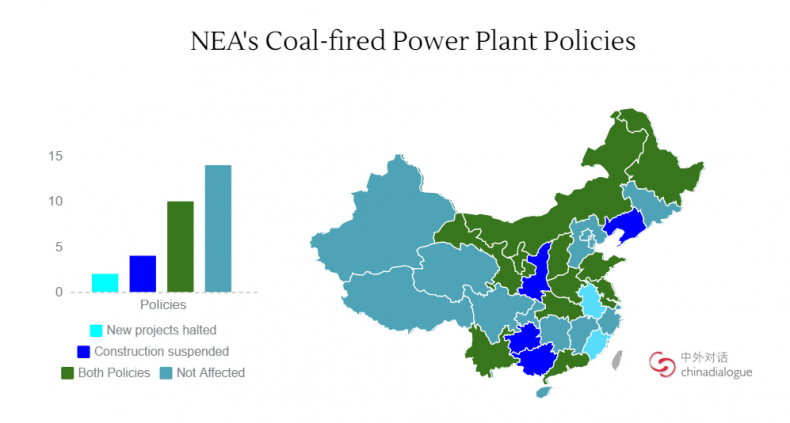 China’s central government has ordered local authorities to delay or cancel construction of new coal-fired power plants as regulators attempt to reduce a glut in capacity, just one year after decisions were delegated to the provinces. 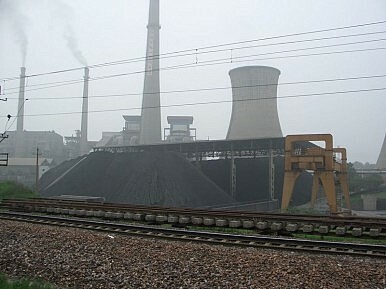 The National Development and Reform Commission (NDRC) and the National Energy Administration (NEA) have ordered a halt to construction of coal-fired plants in 13 provinces where capacity is already in surplus, including major coal producers such as Inner Mongolia, Shanxi, and Shaanxi. A further 15 provinces will be required to delay construction of already-approved plants. The curbs come as Chinese government departments are asked to make rapid policy adjustments in response to slowing electricity demand, as the country shifts toward a less wasteful and less energy-intensive economy and aims to reduce the amount of coal power generation. Data source: Energy Observer / China Southern Power Grid Company. Graphic by chinadialogue. The Chinese role in Cuba during the Cold War paid dividends domestically for Mao Zedong. Though they might not appear to be connected at first glance, the Cuban Missile Crisis coincided with the end of the long Sino-Soviet break during the early years of the Cold War. China and the Soviet Union had sparred ideologically since the mid-1950s, and the Soviets had broken off much technical, military, and economic support by the early 1960s. Chinese and Soviet proxies waged a brutal ideological war for the soul of the international Communist movement. Under the leadership of Mao Zedong, China developed a critique of Soviet foreign policy that suggested the unfitness of Moscow for leadership of the socialist sphere. The Russians, enjoying the security and comfort of their position atop the Communist bloc, would not take the risks necessary to winning the war against the capitalist West. Soviet caution in Europe and in the developing world tended to support this critique. In particular, the Soviets showed little interest in stirring up genuine revolution in European colonial possessions and third world client states, whereas China could play a key leadership role in this area. New research in the Chinese archives by Enrico Fardella tends to confirm that fractures in the Chinese leadership helped drive the Maoist critique of the Soviet Union. The apparent failure of the Great Leap Forward, coming at the same time as the withdrawal of Soviet economic and technological experts from China, drove a wedge between Mao Zedong and practical-minded leaders such as Liu Shaoqi and Deng Xiaoping. 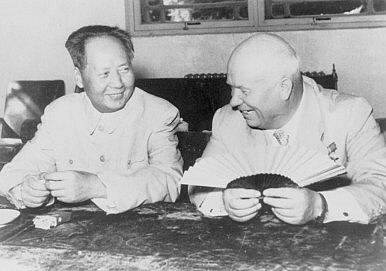 Mao sought to associate the practical faction with the Soviet revisionism of Nikita Khrushchev, especially on the foreign policy front. The more practical factions sought to avoid confrontation with either Washington or Moscow, especially during China’s period of acute weakness. The new silk road connectivity to West Asia would help China take forward its economic and commercial interests while helping strengthen its geopolitical influence in this oil rich part of the world. The end goal of One Belt and One Road initiative is to efficiently link the commercially vibrant Eurasian and African markets that would, in turn, serve to reinforce Chinese quest to emerge as the manufacturing hub of the world. India has neither the resources nor the political commitment to undertake a connectivity project on par with One Road One Belt initiative. Economic imperatives in China as much as the keenness of the Chinese political leadership to strengthen its geopolitical influence across Asia and Europe seem to be the engine that drives the mammoth “One Belt One Road” Initiative. In a major boost to China’s overambitious One Belt One Road Initiative, a train from the traditional hub of Yiwu was fagged off to Tehran earlier this year. This container train covered a distance of more than 10,000 km in fourteen days across the New Silk Road Economic Belt forming a part of the multi billion dollar One Belt One Road initiative. As envisaged now, the new silk road connectivity to West Asia would help China take forward its economic and commercial interests while helping strengthen its geopolitical influence in this oil rich part of the world. As it is, China has already inked a strategic partnership pact with the sanction free Iran to take care of military and security cooperation as well as intelligence sharing. According to Chinese media reports, more than 4,000 businessmen and entrepreneurs of West Asian origin are now located in the city of Yiwu, which, last year, set a record of exporting goods and commodities worth more than $8-billion to West Asia. By all means, the striking advantage for China is that it has deep insight into the dynamics of Iranian market as a consequence of its association with many of the Iranian development and infrastructure projects during the days Iran was under sanction. As pointed out by Li Shaoxian, an expert on West Asian studies at Ningxia University, the reopening of the Iranian market would boost competition between China and West in a big way. Earlier this month, the BBC reported that representatives of the Alawite community in Syria released a document of ‘identity’—in summation, a declaration of Alawism and its place and relevance in Syria. The role that sect plays and has played within the domain of Syrian and regional politics is tremendous, and is perhaps one of the major obstacles in moving forward in the Syrian conflict. The declaration is an effort to reposition the Alawite community nationally and regionally, and to distance it from Bashar al-Assad and his brutal tactics against Syrians opposing his rule. Since the beginning of Hafez al-Assad’s rule in 1970, the Alawite community, to which the family belongs, has dominated leadership of the Syrian state. The top brass in the Syrian army, intelligence services, and security establishment were also drawn from the Alawite community. As the Syrian uprising gained momentum in 2011, Bashar al-Assad’s regime was content to fan the flames of sectarianism, changing the narrative around the revolutionary uprising (which included Alawite figures) against a tyrannical dictatorship, into one that was a sectarian war between different religious sects. In 2016, one of the fundamental fears of many in and out of Syria is that the victory of anti-Assad rebels could spell the end of the Alawite community more generally, as Sunni Syrians have at least perceived the Alawite community as uniformly lining up behind Assad’s brutality. After the ISIS attacks in Brussels, it is high time Europe introspects on its political correctness. Maybe it should read a bit of history also, especially about Cordoba and the Battle of Tours. FOR MILLIONS AROUND the globe whose ancestors have been subjected to the unspeakable horrors and cruelty of Western European colonialism, imperialism, exploitation and genocide for the last 700 years or so, it would be quite appropriate to watch the recent events in the northern continent with a certain amount of glee and satisfaction. The one word that comes nearest to describing these feelings is appropriately a German one, schadenfreude, that has wormed its way into common English parlance in the last 70-odd years, as humankind came to grips with the conduct of the Germanic people. This is a word that sums up an entire mindset and needs two to three lines to spell out its ramifications. The most acceptable rendering would be “deriving pleasure from the misery, sorrow, pain or unhappiness of others”. More on the German connection later. The queries that rise in our minds are the following. Is it divine retribution that is striking the sahibs after so many centuries ? The gods in heaven are finally dispensing justice? Neither of these explanations, of course, even gets to the basics. A certain historical backdrop may give us more insight. For centuries, the world of Islam has suffered from the Cordoba syndrome, a nostalgia for the good old days when the Moors ruled the Andalusian city of Cordoba and its surrounding regions. From its initial capture in 711 by the Moors who made it the capital of the Islamic Caliphate, till its recapture in 1236 by the Spaniards during the Reconquista, the city marked the northernmost extension of the Islamic world. The loss of Cordoba was symbolised by the conversion of the Great Mosque into a cathedral, although the artwork of the original mosque is still preserved. In the world of Islam, there is a mystique about Cordoba that always resonates in the minds of Muslims everywhere. The other two events that have similar significance in the Muslim psyche are the Battle of Tours (between the two towns of Poitiers and Tours in southern France) in 732, when the Frankish king Charles Martel put paid to the ambitions of the Moors to invade France. We are in the good company of eminent historians like Gibbon (of The History of the Decline and Fall of the Roman Empire fame) and Creasy who have asserted that a defeat of the Franks in Tours would have permitted Islam to capture the whole of Gaul (present-day France) and possibly the remainder of Western Europe. Britain plans to build a cybersecurity center, tentatively located at a British military base in Corsham, England. The Cyber Security Operations Center (CSOC) will cost £40 million (US $56.6 million), according to a Ministry of Defence news release. "The CSOC will be a dedicated facility staffed by experts that utilizes state-of-the-art defensive cyber capabilities to protect the MOD’s cyberspace from malicious actors," the Ministry of Defence said. "It will enhance our ability to secure defense networks and systems against cyber threats and bring together our defensive cyber activity which will enable us to continue to operate safely and securely." 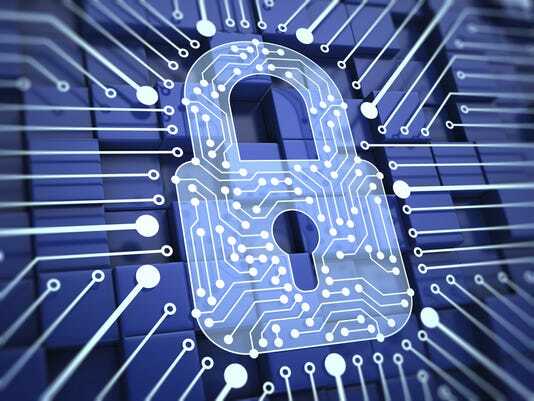 The British government plans to spend £1.9 billion over the next five years on cyber defense. The US Department of Defence (DoD) has revealed the US Army's new 15-year strategy for modernising its enterprise network. Titled 'Shaping the Army Network: 2025-2040', the new guideline will focus on key areas affecting networks and systems to meet operational information requirements and sustain technological asperity by 2040. The areas include dynamic transport, data to decisive action, robotics and autonomous operations, computing and edge sensors, cybersecurity and resiliency, and human cognitive enhancement. "The intent is to guide development of science and technology requirements to get to 'what's next' in the evolution of the army." US Army chief information officer / G-6 lieutenant general Robert Ferrell said: "Shaping the Army Network: 2025-2040 provides the long-term strategic direction for army enterprise network modernisation within the context of the Army Operating Concept. "Using the IT baseline described in the Army Network Campaign Plan as a starting point, the intent is to guide development of science and technology requirements to get to 'what's next' in the evolution of the army."